Pinot and Plants: Make a Terrarium! Creativity comes in all sizes and shapes–just like plants! You know how in your every day life, you have to do what others tell you? Well in this class you get to create your own world in a beautiful glass terrarium. 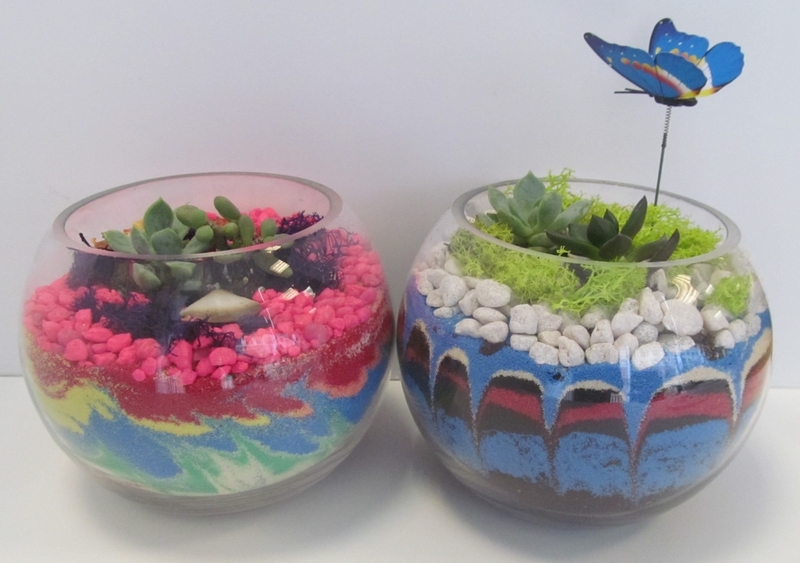 Choose your own sand colors, gravel and plants to create your own personal world! To keep the creativity flowing we provide a free glass of wine and complimentary snacks and sodas. Additional wine and beer for sale. ID required. This class is great for relaxation and creativity, no experience required. Each terrarium includes all materials including two succulents of your choice.